Karthi’s big budget Kaashmora is like the proverbial curate's egg — good in parts. Director Gokul, known for his hilarious comedy riot Idharkuthane Aasaipattai Balakumara, keeps to his strengths in the first half , the best part of the film. However, he changes tracks in the second half and goes for a genre change with some period drama, action, sorcery and makes Karthi a la Kattapa of Baahubali, and the film loses its steam. Kaashmora has been tailor made for Karthi as a mainstream action hero with a comic sense. He holds this uneven film together with a terrific performance. Kaashmora (Karthi) is a con magician, who along with his father (Vivek) and family, runs a successful “driving away evil spirits” business. They scam a ruthless and corrupt politician (Sarath Lohitaswa) of Rs 500 crore and try to run away with it, but get caught in a haunted palace. There they stumble on Raj Nayak (Karthi) — a headless ghost, who is waiting for a full moon day to regain his lost life and also take revenge on Ratnamahadevi (Nayanthara). The first part of the film is a scream and Karthi excels as a fake magician who lives off the fears of the people. His scenes with Vivek and the way he cons people, playing on their innermost fears, are well etched by Gokul. And the initial comic scenes in the palace are a riot. Basically the director should have struck to the horror-comedy genre and it would have worked better, rather than introducing the epic-period-revenge-drama angle in the second half. This is an out-and-out Karthi film because he plays the hero (Kaashmora) and the villain (Raj Nayak), with consummate ease. Nayanthara is wasted in a cameo appearance that lacks punch. Sri Divya has hardly anything to do. 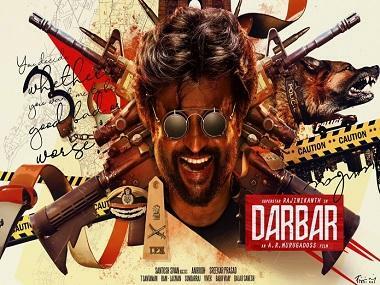 Music director Santhosh Narayanan's background score is in sync with the theme, but there's not even one hummable number. 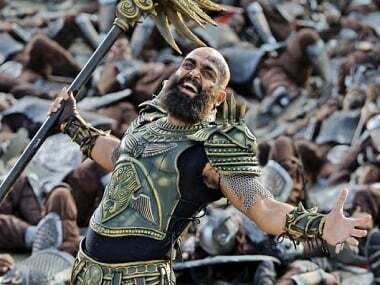 Overall, Kaashmora is a time pass film which has its moments — but these are far too few, and too far apart.